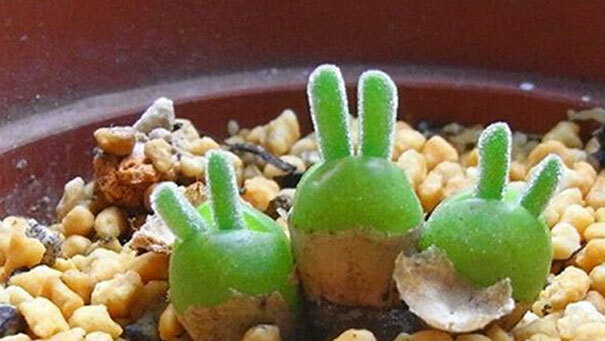 If you love weird and strange things as much as I do, especially anything related to plants, then these “bunny succulents” will knock your socks off! 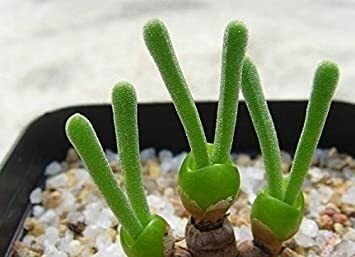 The “Bunny Succulent ” or as it’s referred to in the scientific community, the monilaria moniliformis or monilaria obconica, is probably the most adorable plant you have ever seen. Now usually, “adorable” and “cute” aren’t words you associate with plants, but after seeing these images, you’ll understand why that is the adjective of choice. Apparently they’re rather easy to take care of, so even if you tend to kill every plant you touch, these should survive. They do require full sun to light shade, and will definitely add some character to your home or office. One thing I have learned about succulents and caring for them, is to never over-water them. Their roots tend to rot easily. So, id you adore cute things that resemble bunnies, but you don’t want to take care of or clean up after a real bunny, these succulents are the perfect thing for you. 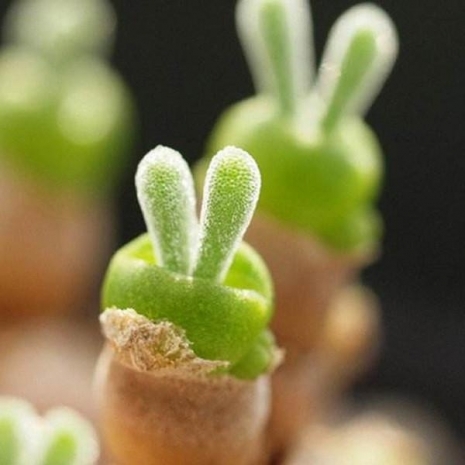 You can buy the Bunny Succulent seeds here at the Blue Fire store for $4.51. They’re also sold on Amazon. 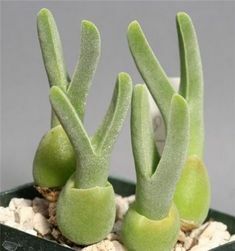 They look like miniature bunny ears- only in plant form. But they eventually turn into full-grown bunny ears. Maybe it’s perspective…Do these look like Peace signs to you? Do you love these as much as we do? Be sure to share this article with your friends!